Kent is best known as the Garden of England because of its rich agricultural heritage. It is lush and green with dramatic coastlines, including the iconic White Cliffs of Dover, as well as lesser known but equally breath-taking beaches. It has stunning vistas, beautiful woodlands and wild marshlands. Not only that, but Kent is full of history, culture, art, golf courses, vineyards, food fairs and popular events , so plenty to keep you busy. Sussex is the county Rudyard Kipling chose to call home; it is where Virginia Woolf lived for a time and where H.G.Wells spent his childhood. 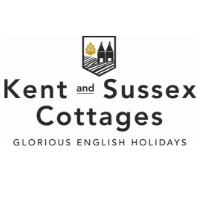 It is stunning with glorious walks across the South Downs, breath taking countryside views, tranquil woodland and over 100 miles of spectacular coastline. It is exciting and different, entertaining and beautiful, bristling with historic houses and castles, charming villages and bustling towns. Of course it is also where the game of cricket was invented. Nothing could be more British or more iconic than that. Let us help – we want your stay with us to be just wonderful. Your holiday is important to you and it’s important to us too. Let us take the stress out of selecting and booking the perfect cottage holiday for you.